Here’s my overview of the Lumix Super Zoom TZ40 camera. Housed in an ultra compact body, Lumix have packed into the TZ40 GPS, Near Field Communication, Wi-Fi and 20x Super Zoom. The 24mm ultra wide-angle 20x optical zoom lens is a Leica DC Vario-Elmar, which combines quality and versatility. Furthermore, Intelligent Resolution technology means that, even when using the zoom, deterioration of picture quality is kept to a minimum and is also available whilst in video-recording mode. Meanwhile, flare and ghost are kept to a minimum courtesy of the Nano Surface Coating of Panasonic’s black box technology. A newly integrated 18.1 MP High Sensitivity MOS sensor provides high speed signal processing and high quality image recording, whilst new noise reduction and edge smoothing technology newly incorporated into the Venus Engine does exactly what it suggests. Meanwhile, a combination of the high-speed digital signal output technology, the light speed and the mechanical shutter realize full resolution 10 frames per second consecutive shooting. Follow the simple guidance provided and the NFC technology and Wi-Fi connectivity allow you to connect the camera to tablets and smartphones by simply placing them in close vicinity. Then enjoy remote shooting, uploading and transfer. The camera will also record HD videos which, courtesy of the 5-axis correction technology which can detect and compensate for operator movement, will seem like you shot them using a tripod. The GPS function detects and records landmark, town, county and country information alongside photos and videos which can then be logged and reached quickly. 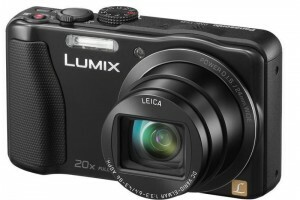 For more information check out the camera on Panasonic’s website. If you already know you want one, but need to borrow some money to help you get it, then here at cashwindow.co.uk we’ll gladly help you with that, too.